Offering weekly removals to Bulgaria for part load removal services and dedicated vans on a daily basis, you can be sure that you are just a quick quote away from the removals service that meets your service and financial requirements. With over 20 years experience in moving families to Romania and relocating people from Romania to England and other European destinations, you can rest assured that your goods are in safe hands with us. We have helped a considerable number of private individuals and small business relocate to and from Romania over the years, and we are passionate about the removals industry. 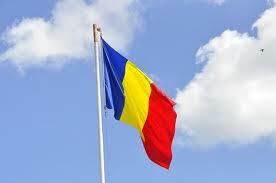 Many people chose to move or visit Romania for its rich heritage and beautiful scenery. It has some of the oldest recorded churches and monasteries available to visit and learn interesting facts about. If this is something you enjoy then it is one of the most recommended countries for you to go. The building are like no other and with many to explore you will have trouble knowing where to start. PeleÈ™ Castle for example gets many visitors every year and the museum showcases areas that all have unique features and stories to tell. If exploring in the great outdoors is more your preference then you are tremendously lucky with what you can see in Romania. Incredible waterfalls like the VÄƒlul Miresei and large lakes like the BÃ¢lea are just two examples of places that are full of beauty and enjoyment. If you are looking to work in the travel and tourism industry then the job opportunities in Romania are growing each year. This means you can enjoy a different lifestyle while also doing a job that you love. We are confident that once you see this amazing country for yourself you will never want to leave. Another industry that is doing well in the current global economy is science and technology. After a quiet period in the 1990s and 2000s, Romania is now beginning to show scientific improvement/growth and this can only be a good thing for the country and its citizens. If you have already convinced yourself that moving to Romania is a great career move for you then you have to start discussing what you need to do for this to happen successfully. Here at European Removal Services we help people from many different countries make their dream moves to countries across Europe. Romania is just one example of a place that people have relocated to in the 20 years we have been in the industry but others include Spain, Italy and Germany. You can relax knowing that our experience counts for a great deal with regards to relocation services. We can make it as stress free as possible allowing you to not worry too much because you are in very capable hands. We have a real passion for the industry, which we believe is important to the success we have and want to carry out many more moves in the future. Whether you are an individual or small business, we are committed to assisting you in relocating to which ever European location you wish. If you have a set budget in mind, we are dedicated to offering you the service you want.